Immigration … refugees … religious tests. Cornell Professor Maria Cristina Garcia examines the history of an America that has not always been a welcoming place for those seeking freedom. Harvard Professor Danielle Allen sees a future of fragmented presidential politics based on smaller constituencies whipped up by outsiders with limited appeal. Is the answer multiple parties? And Bill Press interviews freshman Democratic Congressman Ruben Gallego. December 13, 2015 Immigration historian Maria Cristina Garcia says the current uproar over refugees is not new … Harvard Professor Danielle Allen reflects on the fragmentation of American politics … and Bill Press interviews Congressman Ruben Gallegos. Maria Cristina Garcia Immigration expert Maria Cristina Garcia says that for anyone trying to enter the country to engage in terrorism, the refugee program is the hardest way. Danielle Allen Danielle Allen, a government professor and MacArthur “genius,” thinks we should be moving in the direction of multiple political parties. Ruben Gallego Bill Press interviews Arizona Congressman Ruben Gallego. 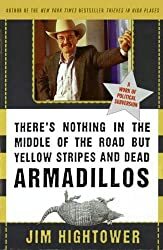 Jim Hightower The sleaze, guilt, and punishment of Don Blankenship. Some tough words for progressives from former Congressman Barney Frank: Don’t just march – start doing the dirty work of getting Democrats elected. Regular commentator Fred Rotondaro says the Trans-Pacific Partnership trade agreement is doomed. And Bill Press interviews Sister Simone Campbell about the Pope’s upcoming encyclical on climate change. 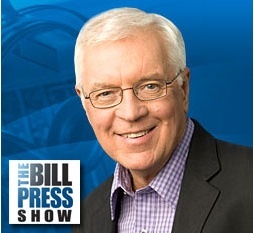 June 14, 2015 Barney Frank with a message for progressives … Fred Rotondaro on TPP and the 2016 campaign … and Bill Press with Sister Simone Campbell, of Nuns on the Bus. Barney Frank Barney Frank says progressives have to do more dirty work, and less shouting, to get people voting -- and voting Democratic. Fred Rotondaro Fred Rotondaro says the Trans-Pacific Partnership protects only corporations, not workers, and he has some predictions about the Democratic and Republican presidential nominations. Simone Campbell Bill Press and his guest, Sister Simone Campbell. 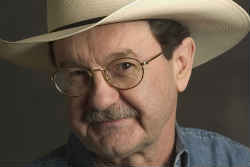 Jim Hightower Stop Postal executives from destroying our Postal Service. Peter Galbraith is a former ambassador and expert on the Middle East. He answers questions about the value of the administration’s deal with Iran. Richard Heinberg is an environmental and energy expert. He warns we are on the brink of extinction as a civilization. And Bill Press interviews the Reverend Barry Lynn about recent assaults on civil liberties. April 12, 2015 Former diplomat Peter Galbraith asks what’s the alternative to a deal with Iran. Environmental author Richard Heinberg says we may be facing the end of civilization. And Bill Press interviews church & state expert Barry Lynn. Peter Galbraith The recent agreement between the United States and Iran was a good one, says former diplomat Peter Galbraith because there is no better alternative. Richard Heinberg Author Richard Heinberg says the fossil fuel industry is so powerful that it is writing America a prescription for environmental disaster. Barry Lynn Bill Press and his guest the Reverend Barry Lynn. Jim Hightower Oil refinery workers on strike over explosive issue.